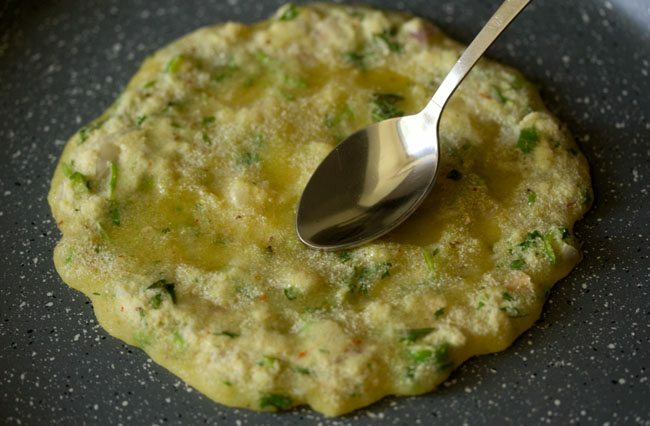 easy recipe of chilla made with sooji or rava. 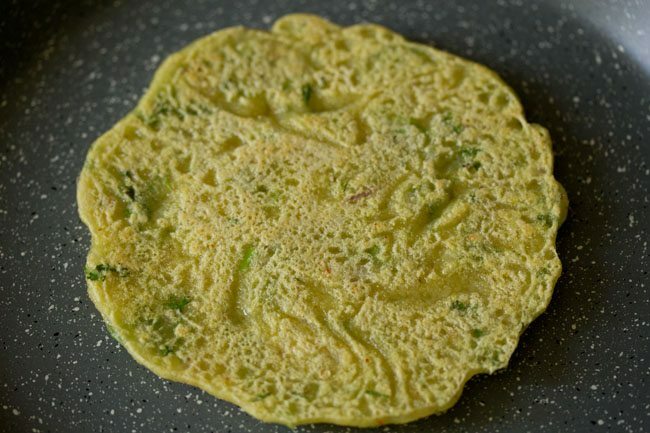 suji ka cheela recipe with step by step photos – easy and tasty breakfast recipe of chilla made with sooji (rava or cream of wheat). 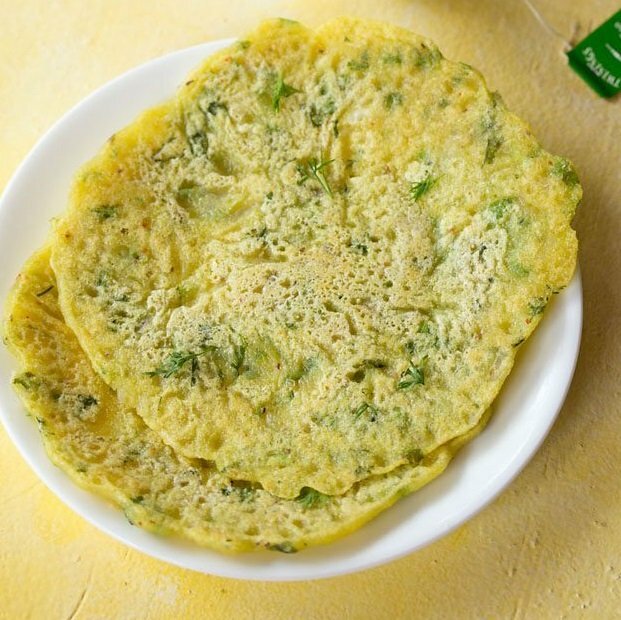 chillas are savory pancakes made from gram flour or other lentils. 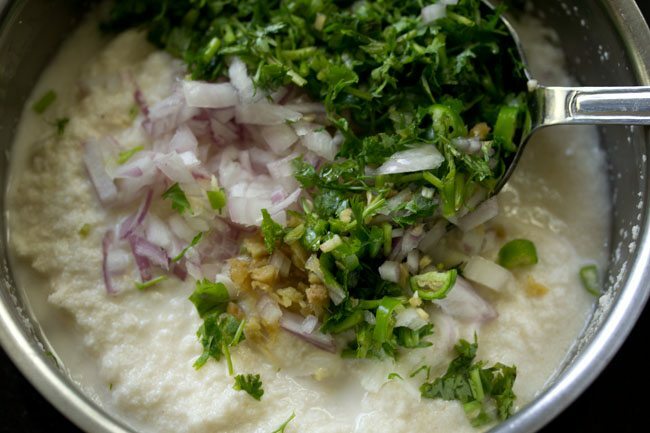 here the chilla are made from sooji also known as rava or cream of wheat. these soft rava chilla are very easy to prepare. thus making it one of the easy breakfast or snack that can be made. 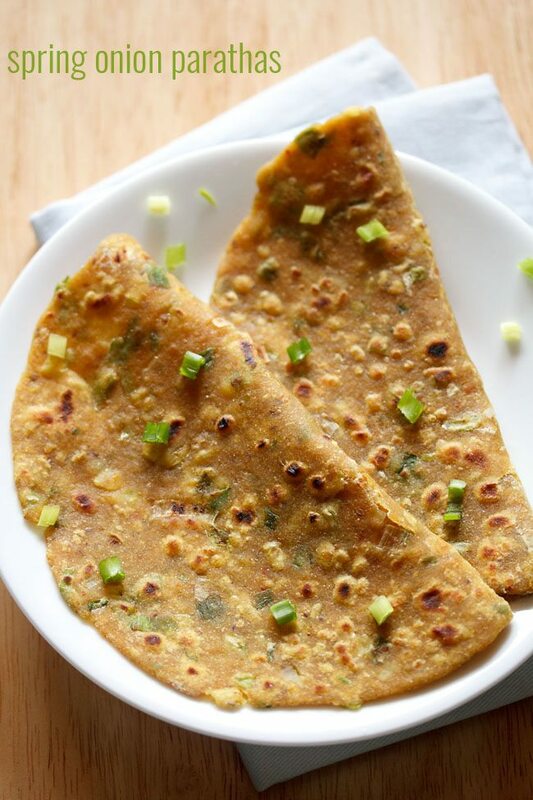 the taste of these chilla are very different from besan chilla or oats chilla. they taste more like rava uttapam. 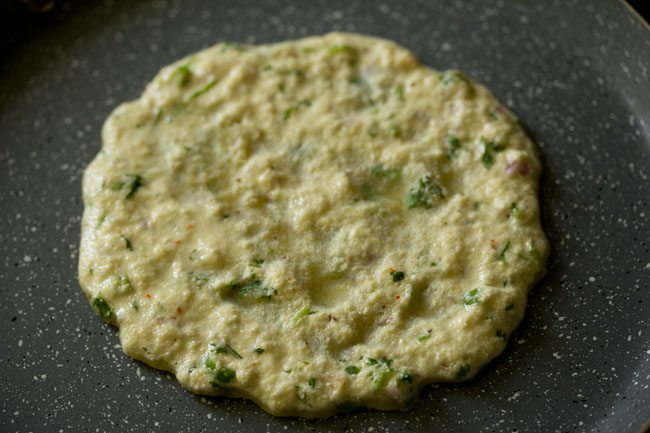 i make these the same way i make besan chilla. only ingredient that gets replaced is sooji instead of besan. 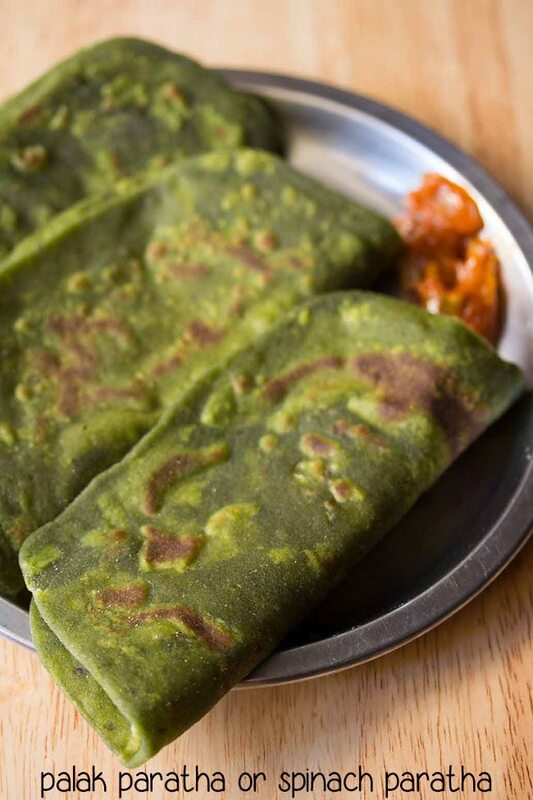 rava chilla can be served with any green chutney, tomato chutney or tomato ketchup. 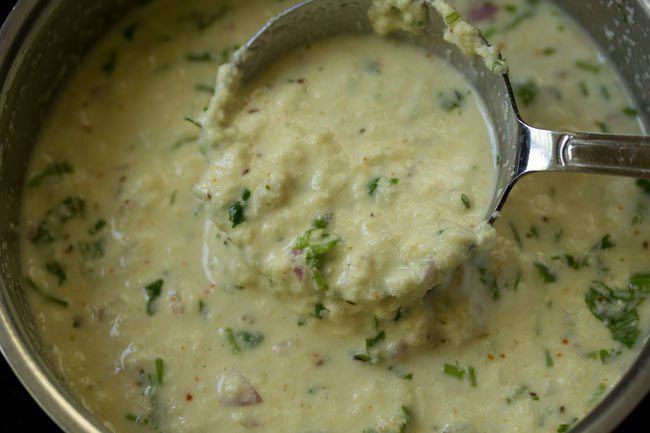 you can also serve with coconut chutney. 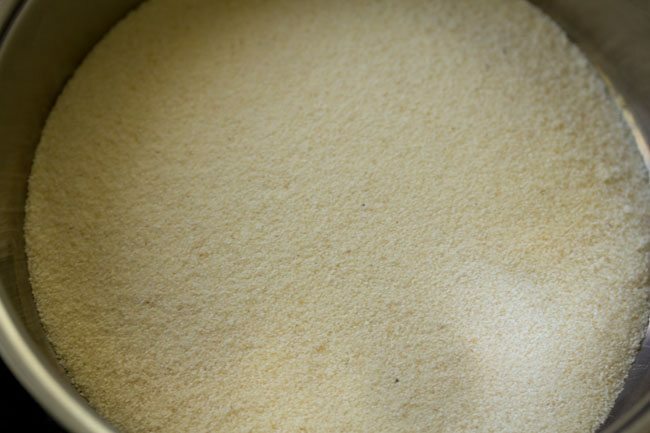 take 1 cup fine sooji (rava or cream of wheat) in a bowl. add 1 cup water. mix very well and allow the batter to rest for 30 minutes. after 30 minutes, rava will absorb much of the water and will become very soft. then add the remaining ingredients in the batter except oil and the remaining 1/4 cup water. mix very well. next add 1/4 cup water again and mix very well. the batter should have a slightly medium thick consistency. heat a pan and spread a bit of oil in it. take a ladle of the batter & gently spread the batter on the pan to make small to medium chillas. the pan has to be on a low flame when you pour and spread the chilla batter. otherwise you won't be able to spread the batter easily. just lightly spread the batter to a neat round shape. don't try to spread too much as the chillas will break. let the sooji chilla cook on a low to medium flame. 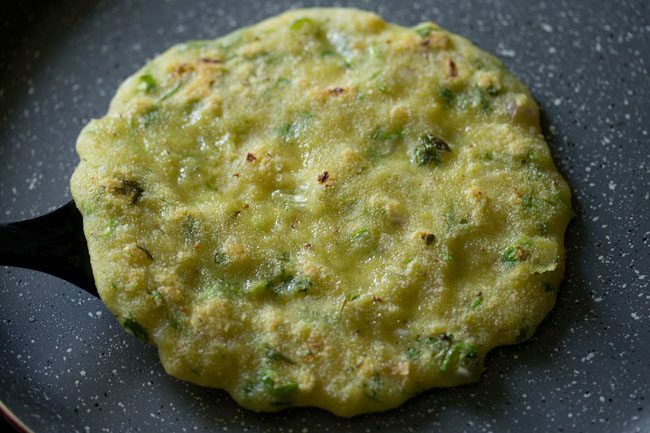 when the top of the suji chilla looks cooked, then sprinkle some oil on the sides and top. with the spoon itself, spread the oil all over. when the base has cooked and become light golden, then flip and cook the other side. when the second side gets light golden or the onions in the chilla, look golden or caramelized, then remove the suji cheela and serve. 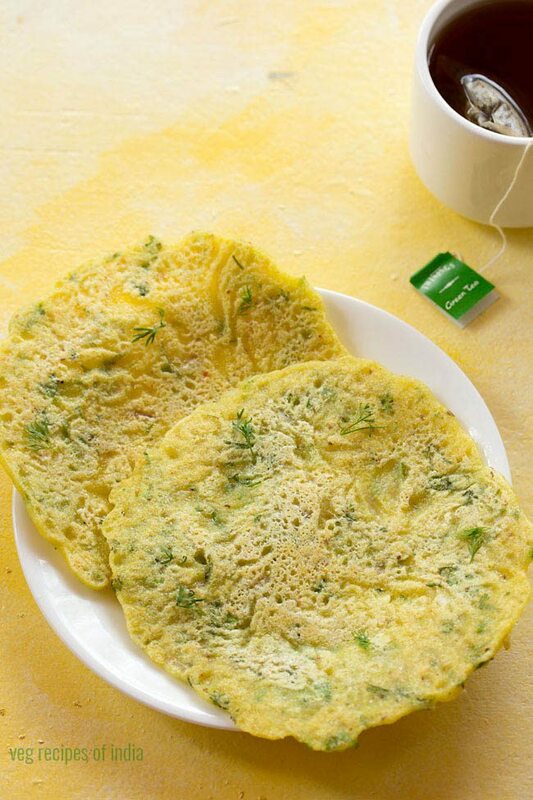 serve sooji ka cheela hot or warm with any chutney or sauce of your choice. the recipe serves 1 to 2, but can be easily be doubled or tripled. 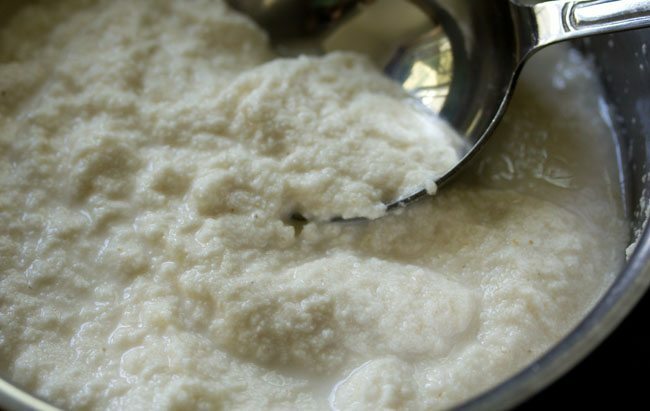 1. take 1 cup fine sooji/rava/cream of wheat in a bowl. 2. add 1 cup water. 3. mix very well and allow the batter to rest for 30 minutes. 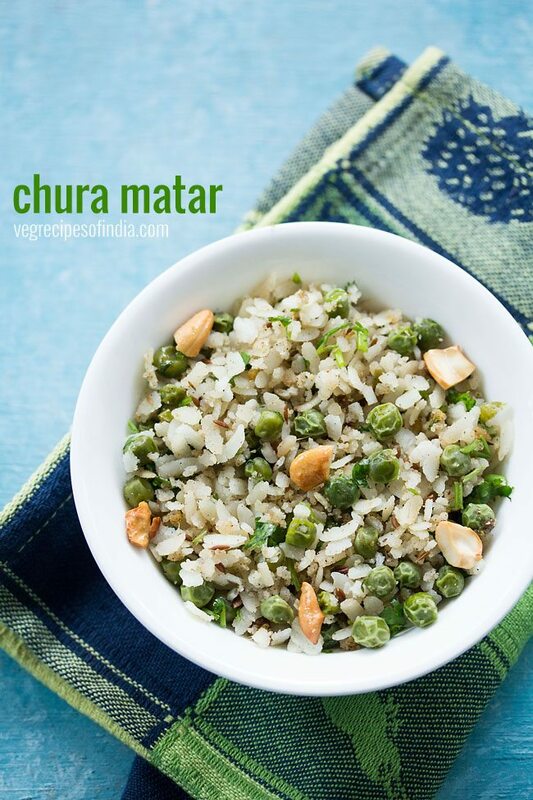 you can even soak rava+water overnight in the fridge, so as to make things easy if planning to make these chilla for breakfast. 4. after 30 minutes, rava will absorb much of the water and will become very soft. 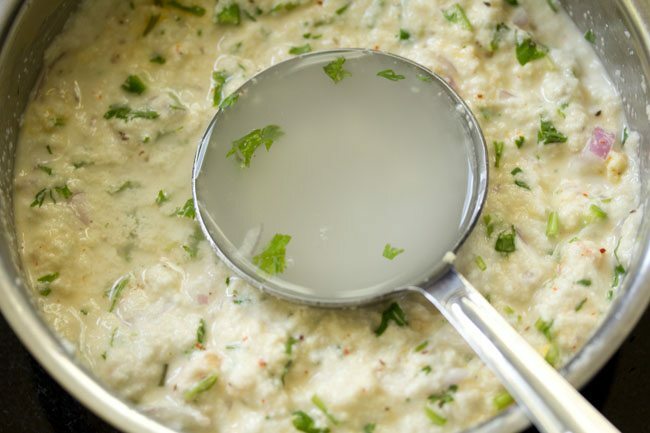 5. after 30 minutes, add the following ingredients in the batter – , ¼ cup finely chopped onions, 1 to 2 green chillies (chopped) ½ teaspoon finely chopped ginger, 2 to 3 tablespoons chopped coriander leaves. 6. mix very well and then add the following spices – ¼ teaspoon ajwain (carom seeds), a pinch of red chilli powder, a pinch of turmeric powder. instead of carom seeds, you can also use cumin seeds. also add salt as required. 7. add ¼ cup water again and mix very well. 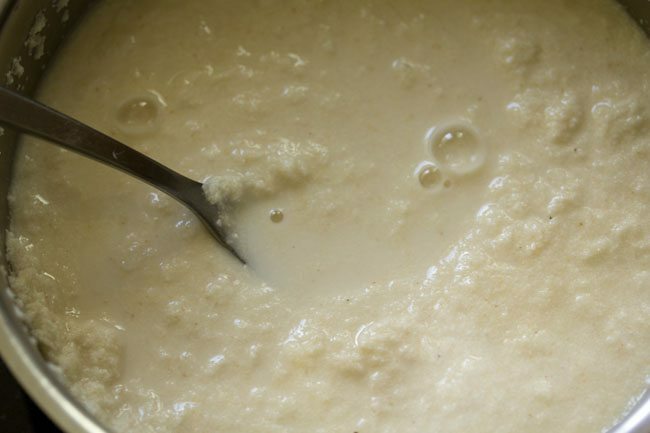 8. the batter should have a slightly medium thick consistency. 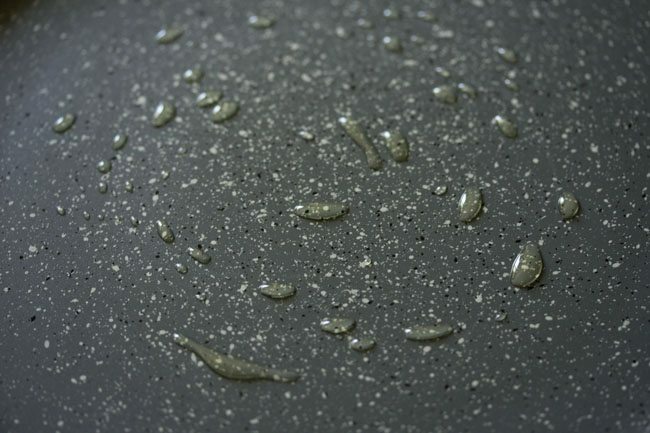 9. heat a pan and spread a bit of oil in it. 10. take a ladle of the batter. 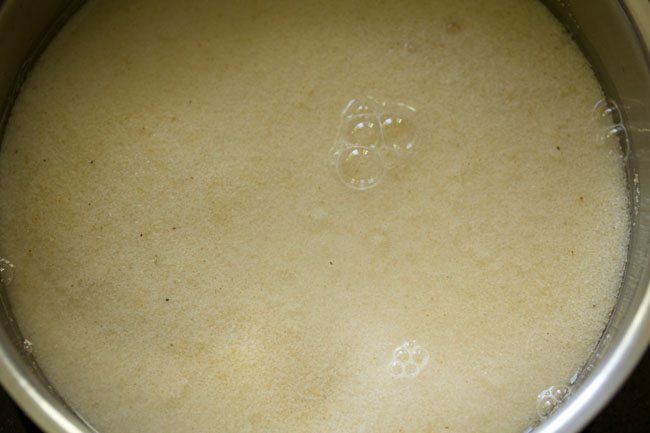 11. gently spread the batter on the pan to make small to medium chillas. the pan has to be on a low flame when you pour and spread the chilla batter. otherwise you won’t be able to spread the batter easily. 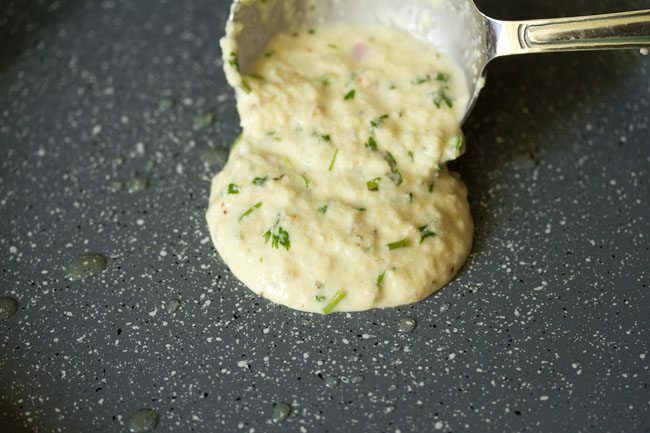 just lightly spread the batter to a neat round shape. don’t try to spread too much as the chillas will break. 12. let the sooji chilla cook on a low to medium flame. 13. when the top of the chilla looks cooked, then sprinkle some oil on the sides and top. 14. with the spoon itself, spread the oil all over. 15. when the base has cooked and become light golden, then flip and cook the other side of suji cheela. 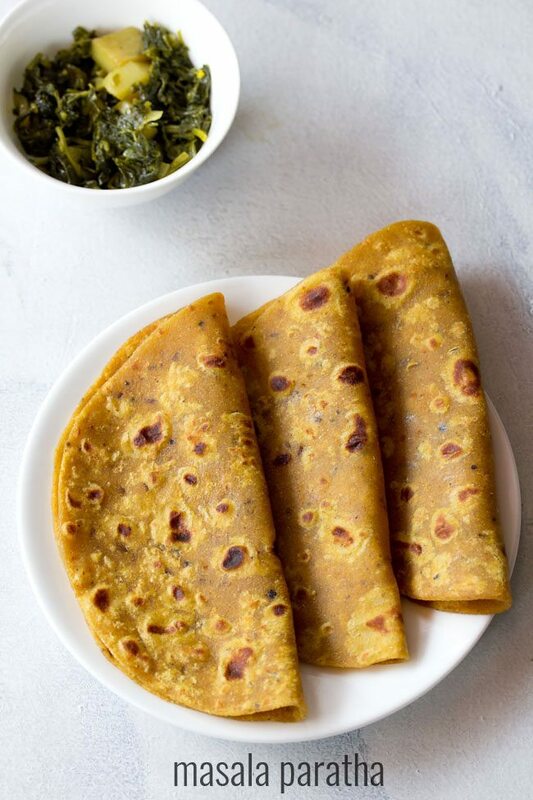 16. when the second side gets light golden or the onions in the chilla, look golden or caramelized, then remove the suji chilla and serve. 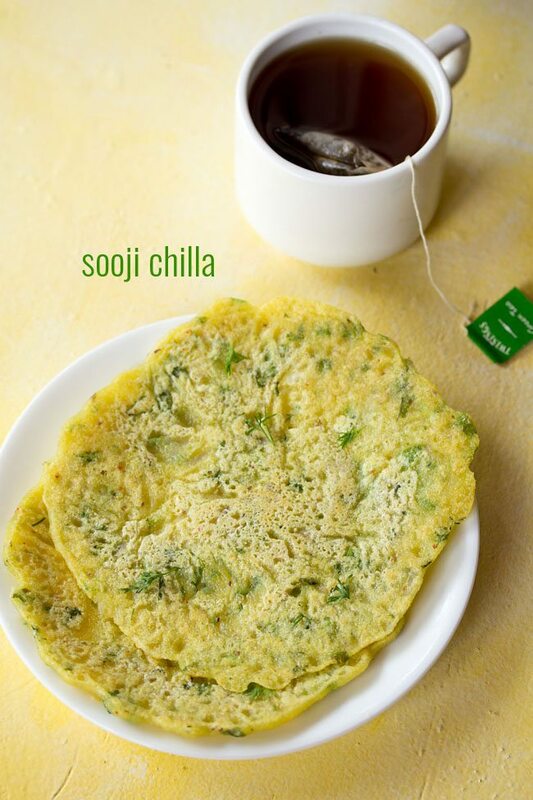 17. serve sooji cheela hot or warm with any chutney or sauce of your choice. Can we add more vegetables like tomato and capsicum? Sooji chilla is very very tasteful and excellent Dassan/Amit thanking you very much. Rava Chilla is excellent taste thank u Dassan/Amit. For sooji chilla, does the suji needs to be roasted or raw before soaking in water. Is 30 minutes soaking enough for rava? I always end up making halwa and not cheela of rava.maybe i soak less time. sooji need not be roasted. 30 minutes is fine. even for rava dosa, the sooji is soaked for 30 minutes. Tasty and healthy substitute to besan cheelas! 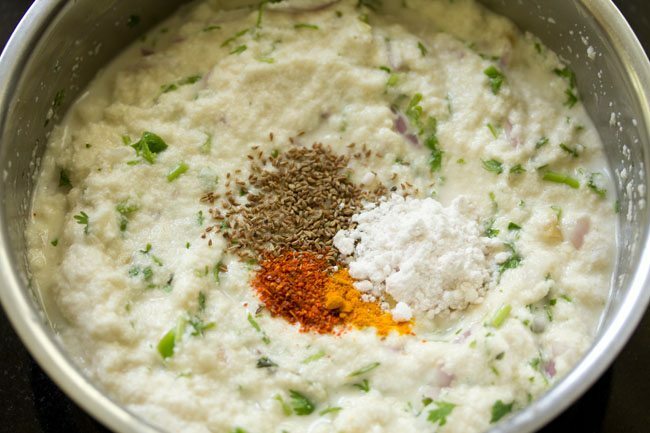 Have been making recipes from ur blog since 4 days, methi mutter malai, mutter pulao, dal makhani and rava cheela today.. all were a hit, thanks a ton! thank you Manjiri for this feedbacks as well the previous feedback on the recipes. thanks again. 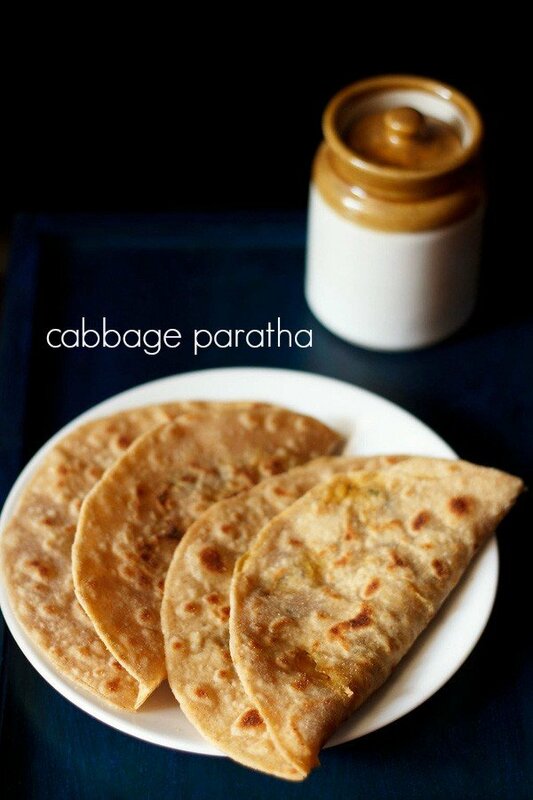 is this same as rava rotti, in which fresh coconut is also added? 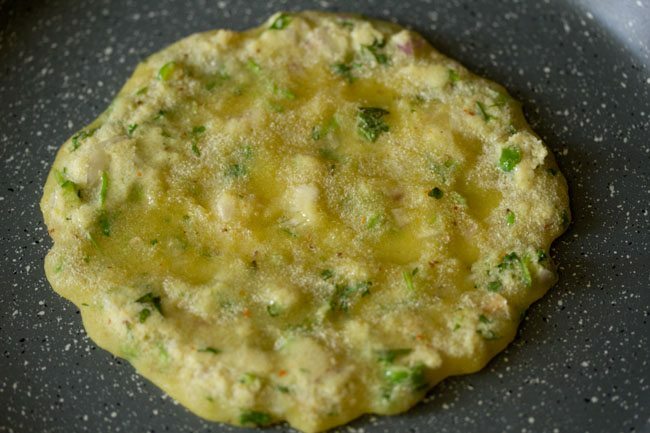 no shilpa, rava rotti is different. this is just a simple chilla made from rava. Thanks for the amazing recipe..
thanks for sharing this feedback share. glad to know. I tried these chillas today..turned out to be really good..though my culinary skills are quite weak but your recipe worked for me. It turned out superb… thanks for sharing such good recipes… i am not that good in cooking.. but since the time i have started following ur recipes….i have actually started loving making varieties for my toddler.. and he is loving it… ur efforts in sharing such grt recipes in an organised manner has and is helping lot of people like me..
how is it different from Rava dosa… only thing is we don’t add curd… ryt .. ??? very different. these are soft and the taste is also different. whereas rava dosa are crisp and they taste different from rava chillas. moreover the spices used in these are not used in rava dosa. 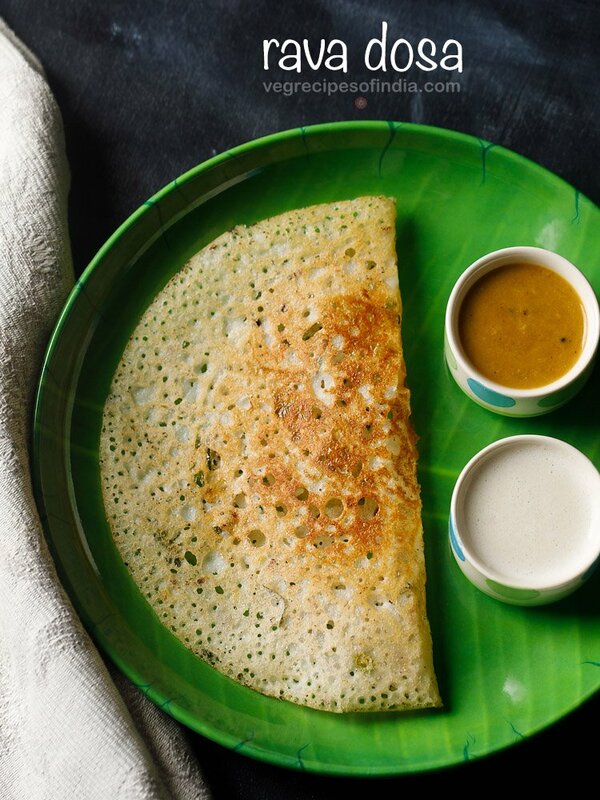 in some rava dosa recipes buttermilk or curd is also added which gives it a slightly sour taste. of course sweta, curd can be added. i did not add curd as usually chillas are not sour. 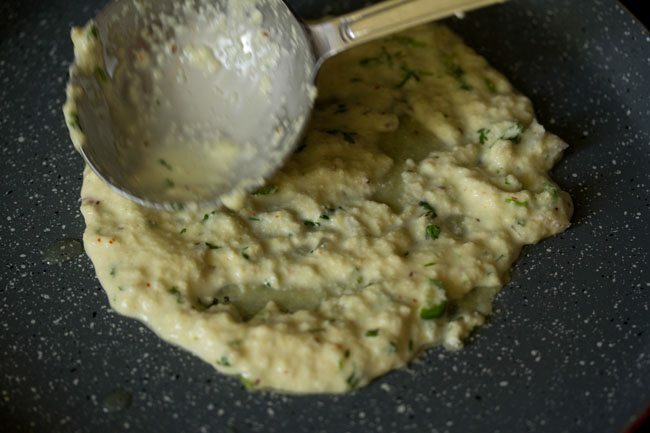 but yes curd or some lemon juice can be added to get a slight sour taste.